We grill at our house most of the year on a Saturday evening, but during the summer months, the grill is fired up a lot more often. I am always looking for new and interesting recipes to make good use of our barbecue. 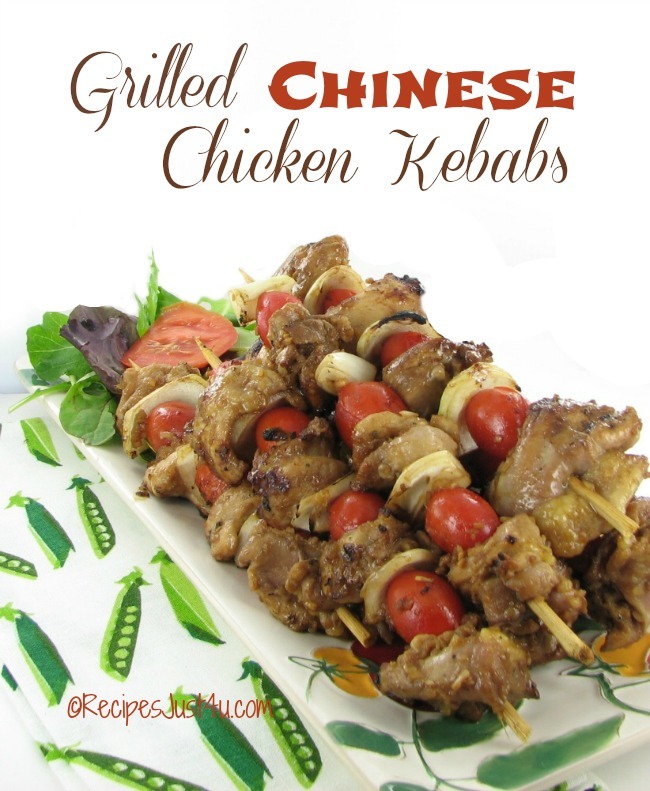 Since we also love Asian flavors, these Grilled Chinese Chicken Kebabs are a bit hit. 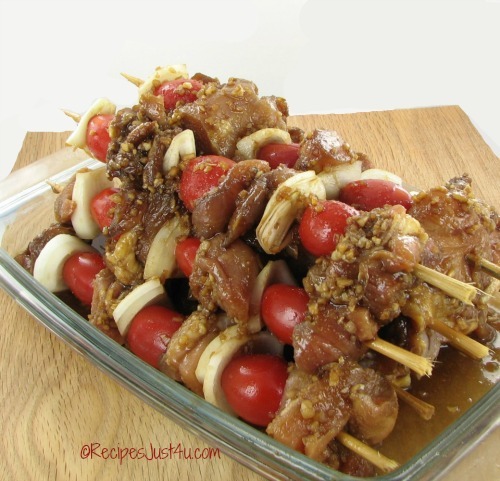 These kebabs are also one of my favorite easy appetizers for party time. These kebabs are super easy to do, but you will want to make the marinade early. The flavors are so much better if you can let the chicken pieces sit in the marinade for several hours at least. Just make it in the morning and it will be ready to grill at dinner time. I used boneless, skinless chicken thighs. The meat makes a juicier kebab, but a lot of the fat is removed because there is no skin. 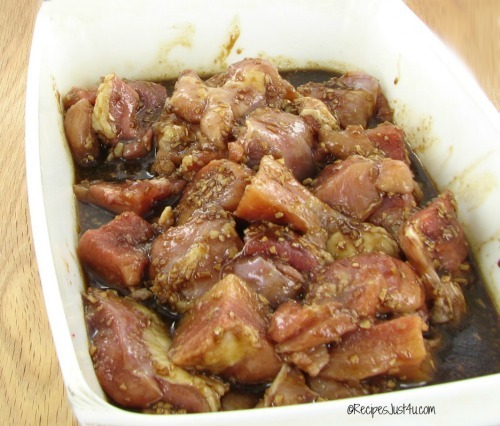 Once the marinade is made, just pour it over the chicken pieces. Don’t be afraid to use your hands to get all pieces of the chicken well coated. That is what gives the kebabs a great flavor. The kebabs are fine just on their own with no veggies, but I love the taste of grilled vegetables, so I normally add grape tomatoes and sliced onions for some extra healthy goodness. There are lots of combinations that work well with the chicken. Another great one is sliced green peppers and onions. If you are not using metal skewers, you will want to soak them in water for about 1/2 hour before you grill, or else the wood on the skewers will burn when you cook the kebabs. Alternate the chicken pieces with the tomatoes and onions and you will be all set to grill. Serve the kebabs with a fresh tossed salad. Great with grilled corn, or potatoes wrapped in foil and cooked on the grill too! 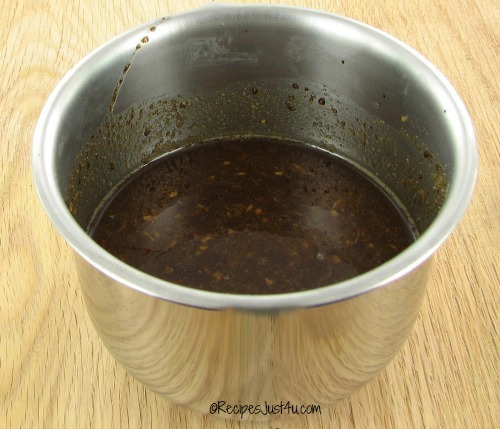 Also be sure to check out this clean eating sugar free barbecue sauce. It’s perfect for grilling season. 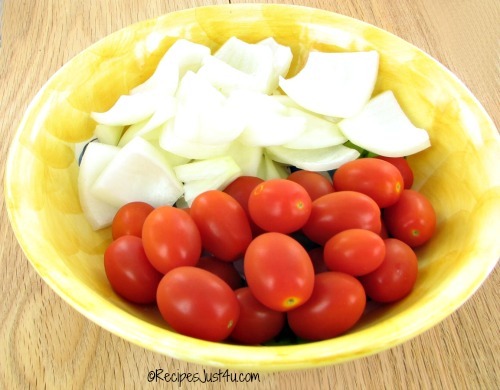 Mix together the first seven ingredients in a mixing bowl. Place chicken pieces in the baking dish and pour over the marinade until all the chicken pieces are completely coated. Place the baking dish in the refrigerator for at least 2 hours (The longer you can marinade the chicken, the better the kebabs will taste). 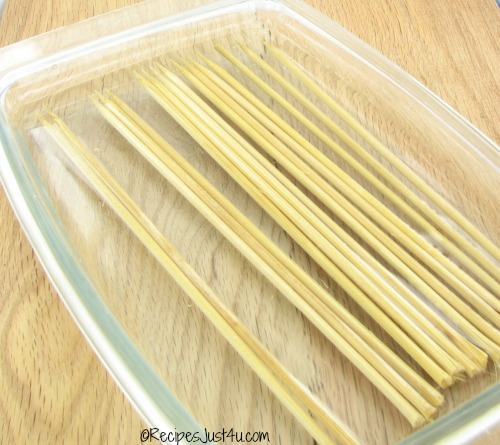 Place wooden skewers in water for 30 minutes so they will not burn on the grill. 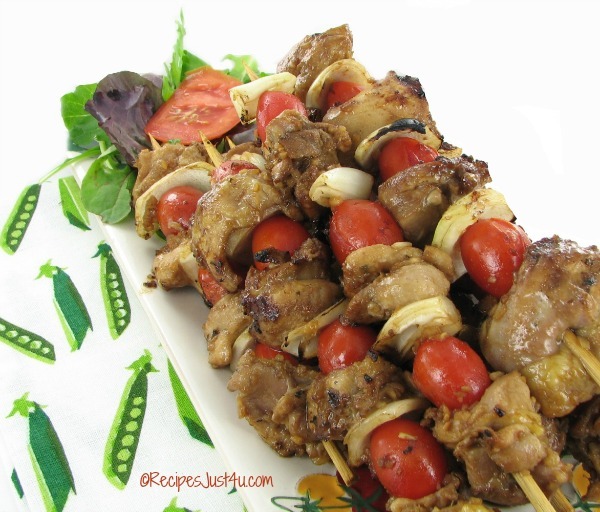 Remove chicken from fridge and thread chicken on skewers, alternating with sliced onions and grape tomatoes. Discard the left over marinade. Place the chicken kebabs on a grill over medium-high heat. Cook until chicken is no longer pink and is browned on the outside. This will take about 5 minutes for each side. Serve with a tossed salad and corn on the cob or baked potatoes. Enjoy! Recipe adapted from one that I found on Six Sister's Stuff.